What is the CMC of X? Search your library for a green creature card with converted mana cost X or less, put it onto the battlefield, then shuffle your library. Shuffle Green Sun's Zenith into its owner's library. Well, I think the new Finale of Devastation will see EDH and modern play as a Green Sun's Zenith + Reanimate (You get 2 creatures), maybe legacy nic-fit play too? seems really strong IMO. So, I know my input is probably not going to be amazing, but if you're really looking to ramp, maybe try Arboreal Grazer or Sakura-Tribe Scout ? I don't think there's much I can really provide to the deck, although I do think that Finale of Devastation might provide another Green Sun's Zenith and an alt-wincon, which doesn't seem all that bad. I wanted to take this time to go over every card I think that will play a role in the EDH format from War of the Spark. I will grade cards based on how many colors they require, how useful they are in how many decks, and will note where and why each could see EDH play. Because there are 36 different planeswalkers, I think the planeswalkers are the proper place to start with this list. Liliana, Dreadhorde General - 9/10 - This card is a really good engine at 6 CMC in black. It has serious tribal synergies, aristocrats synergies, hits each player on the -4 (which draws you cards), and feels like a better Elspeth, Sun's Champion for black. It is worth it in most 75% black lists and any casual deck that can afford it. Nissa, Who Shakes the World - 7/10 - Mono-green card? two color decks can use it too, but seriously a powerhouse. Mana doublers are always nice, and while green is perhaps already the best at ramp and so may not need it, but it does also untap a land per turn giving you ~2 additional mana, and the ultimate is insane. The issue with it as a mana doubler is that, being a planeswalker it can just die. It does, however protect itself. Seems possibly great, but probably just another really strong green ramp 5 drop. Jace. Wielder of Mysteries - 7/10 - This card appears to be a normal Jace Phyrexian Arena effect for most mono-blue decks, but can be really strong givne you are a blue-black deck. If you can afford triple , I think using it with Demonic Consultation , naming a card outside of your deck so you exile your deck, then draw a card with Jace's +1, winning the game. It is a cheeky combo, but I see this card perhaps using it to win some number of games. Nicol Bolas, Dragon-God - 6/10 - I know I am not super high on this card, but that mana cost is really the issue. 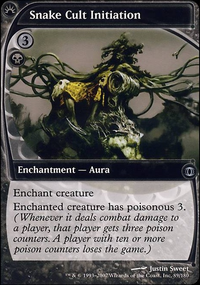 Otherwise, it is a great walker once it hits, giving you huge card advantage, 4 cards in your favor with each opponent exiling and you drawing, and the static gives you a lot of advantage in a planeswalker deck or against them. It has removal, it has a lot. The ultimate seems... weak? Not bad, however. Ugin, the Ineffable - 6/10 - Great walker for colorless decks. So far all of the colorless walkers has been good before, but they have been good outside of just colorless decks, however, I don't think that makes this bad. Tamiyo, Collector of Tales - 5/10 - 2 colors makes this worse, and being singleton the +1 isn't great, but the static ability makes up for that a lot, giving it serious value. The +1 is self-mill, so you need a deck that can abuse that to get true mileage out of it. Even without, the -3 is Regrowth and I think is very strong. It feels about right for the mana cost, but need to be in a self-mill deck, or needs to be in a metagame wiht a lot of discard/sacrifice effects running around. Vivien, Champion of the Wilds - 5/10 Green walker that draws you a card a couple of times maybe and has some flash use. It doesn't seem bad, but not something particularly powerful outside of green lists that need more card advantage or selection. Chandra, Fire Artisan - 4/10 Red Chandra with card advantage. Static and ultimate seem medium. Not much better in many ways than the enchantment varients on this. The more specific walkers that need a specific strategy are listed here. I rated them out of ten, only for decks in which they fit, like lifegain for Sorin, Vengeful Bloodlord . Saheeli, Sublime Artificer - 9/10 - Stellar card for artifact decks with the loyalty ability. It works with numerous other archetypes, however, token strategies like Brudiclad, spellslinger decks that storm off and now have a token army to back it up, etc. It works in walker decks and protects walkers whenever you cast more. It is just really strong for its cost, which is very versatile. Huatli, the Sun's Heart - 6/10 - All of the Assault Formation effects for the walls deck are useful. Its lifegain isn't even irrelevant. Ajani, the Greathearted - 5/10 - Good in some W/G walker decks or some +1/+1 counter lists? Bad +1 makes this medium, and you can only use the -2 twice... Still strong as effects go and low cost. Gideon Blackblade - 5/10 - A white-weenie aggro card that gets around your own sweepers, protects other creatures, and is really good with the -6 as well. Lifegain and other combat tricks aren't bad on this either. Ral, Storm Conduit - 5/10 - A storm combo card, that has some value effects. It doubles spells and could be strong in some spellslinger lists. Ob Nixilis,the Hate-Twisted - 4/10 - Good walker for Nekusar, not gonna see play much outside of that. Sorin, Vengeful Bloodlord - 4/10 - Mass lifegain anthem effect, some targetted damage, and reanimation makes this pretty strong. Sarkhan the Masterless - 4/10 - Good for dragon decks? Not really great in them, but can see play there. Domri, Anarch of Bolas - 4/10 - REamp, anti-counter, and anthem effect. Not bad. Kiora, Behemoth Beckoner 3/10 - Good in Stasis decks or decks that have large numbers of big creatures? It is ramp, while not being great. Here are the hate-planeswalkers, cards that aren't value engines, but reall like hate enchantments. Narset, Parter of Veils - 10/10 - Not even bluffing, an effect like Notion Thief or Leovold that doesn't die to creature removal, this is mono-blue, gives you card advantage, and has a high loyalty for its mana cost. It could be really scary with Windfall effects. Karn, the Great Creator - Becasue sideboards aren't allowed if a single player in the pod doesn't allow them I won't be going indepth with the Mycosynth Lattice combo. Liquimetal Coating is another combo that llows you to destroy lands with the +1, and can kill 0-mana artifacts. It is pretty powerful as a one-sided Null Rod too. Great anti-artifact card. Ashiok, Dream Render - 7/10 - Anti-graveyards, self-mill or opponent mill, and anti-search? This card hates on a ton of really powerful effects, and is entirely one-sided. Teferi, Time Raveler - 6/10 - Combo with Knowledge Pool , one sided, flash for your Sorcery, removal/card draw for a bit. Really strong effect. 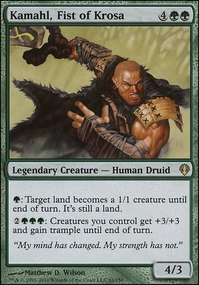 Dovin, Hand of Control - 5/10 - Not a great stax-piece, but technically one. Feels anti-storm. Had benefits against voltron as well. Teyo, the Shieldmage - 3/10 - You have hexproof, protects itself a bit, great in a deck that uses walls however. Blast Zone - 10/10 - Perhaps the best card in the set, there are extremely few decks I wouldn't put this in. 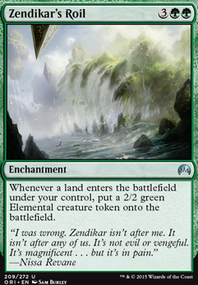 It is a land that can hit any non-token, nonland, non-0-CMC permanent given some time, enters untapped, and taps for mana too, unlike Maze of Ith or other effects I'd argue are almost worse. Emergence Zone - 7/10 - Bad flash enabler, but colorless and to all effects, beating Winding Canyon by enabling non-creatures. Enters untapped, for mono-colored decks that want this effect, no reason (mostly) not to run it and not bad. Karn's Bastion - 6/10 - Needs to be in an infect, +1/+1 counter, or planeswalker deck, but it can do work. Sadly in a deck like Atraxa, I don't think it'd be great since colorless mana is hard to run in the landbase. Still good in numerous decks. Interplanar Beacon - 4/10 - Strong for some walker lists, that is about it. Mobilized District - 3/10 - Basically just a wall for some walker decks. If it gets to be free or 1 mana and becomes pretty worth it. Bolas's Citadel - 10/10 - A huge engine, hard to cast, can fail with double land, but just wins games. Few black decks would miss this in the 75% or casual circles. Like a free-cast Ad Nauseam forever. Comboes with both of Sensei's Divining Top 's abilities. Vivien's Arkbow - 7/10 - It lets you discard bad cards to hit creatures when you are losing steam and have tons of mana. Really powerful. Ilharg, the Raze-Boar - 7/10 - Combo with Medomai the Ageless . Not a ton else, but all of these gods are very hard to kill, and this one can cheat out eldrazi... seems good. 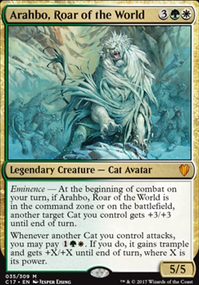 God-Eternal Bontu - 5/10 - Great in Aristocrats, can be really strong for draw, is really hard to kill. 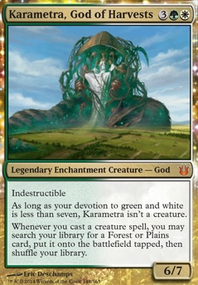 God-Eternal Oketra - 5/10 - Great in some white decks like Karametra, would be a sweet commander with effects like Whitemane Lion , Kor Skyfisher , Stonecloaker , etc. to trigger her a ton of times. Sweet with Odric, Lunarch Marshal , with a token and her out all of your creatures gain doublestrike and vigilance! God-Eternal Kefnet - 4/10 - Not sure where this fits? It is card advantage, and could work in some decks that draw on opponents' turns? I am not thinking this is a great card. Good Body and is pretty strong with the god invulnerability effect. God-Eternal Rhonas - 4/10 - Green five-drops are often better than this. Not bad, just kind of not a strong ability. Good with other anthem effects as a finisher if you have some trample enabler. Finale of Revelation - 8/10 - Better Mind Spring is good. Also, High Tide storm make it a little scary if that ends up being a thing. Finale of Eternity - 7/10 - Really strong, but mana intensive for a triple Murder . Great black removal spell for many decks however. Finale of Promise - 7/10 - Also really strong, this card seems to be for spellslinging. Requires instants and sorceries to double up on freecasting, but is still good. Finale of Glory - 6/10 - Big White Sun's Zenith at sorcery speed with huge benefit at x=10+. Seems strong? I can't say taht the vigilance on the tokens are bad, but being a sorcery it isn't hard to sweep. Command the Dreadhorde - 9/10 - 6 mana for a Reanimate any number of creatures/walkers in any graveyard? Hugely underrated IMO. Liliana's Triumph - 8/10 - A great removal spell that doesn't target creatures, players, and is instant speed. It is 2 mana, splashable, and gets around indestructible. If you run Lilianas, that is just gravy on top. 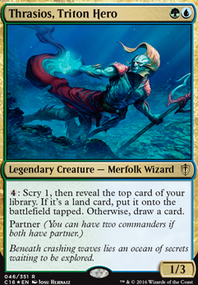 Fblthp, the Lost - 8/10 - Great commander with Proteus Staff , strong effect, and is just a good card for blue creature decks like Animar, Soul of Elements . Strong. Time Wipe - 8/10 - Incredible powerful in some decks, think of it with an Archeaomancer. Yep. Infinite board wipes ;). Otherwise just a sort of better Day of Judgment . The Elderspell - 7/10 - Anti-walker, really good at what it does, and can be used in conjunction with other walkers to hit a fast ultimate! Narset's Reversal - 7/10 - Just a strong counterspell option, that acts like a Remand or Venser, Shaper Savant with different upsides. Really strong because it gets around "can't be countered" cards, and copies really game-ending x-spells while bouncing them back at the same time. I expect tons of 2-for-1s with this. Dovin's Veto - 7/10 - Better Negate at the cost of an additional color in its cost. Really strong, and will see tons of play IMO. U/W control variants will take this card and run it over other control decks for some serious power. Return to Nature - 7/10 - Naturalize with graveyard hate as another option. Surprisingly versatile, and always better classics are great! Deliver Unto Evil - 7/10 - Strong political card, godly with a Nicol Bolas walker. Feels like it could be breakable, but I don't know how yet. Neoform - 7/10 - Strong tutor like Eldritch Evolution , doesn't exile itself, adds a +1/+1 counter, etc. I see it with +1/+1 counter decks, or just Simic Creature lists in general I imagine fetching Eternal Witness then recurring this then sacrificing E-Wit will become a common playline to go from 2 drop to 4 drop. Ignite the Beacon - 6/10 - Walker decks will use this to great effect, but it just seems powerful for some non-walker decks that have a few. Instant speed I really think makes it good for control decks holding up mana for countermagic. Single Combat - 6/10 - Really good sweeper in white, a color with a ton of really good sweepers, but still, it is strong and will go into a lot of white lists. Don't underestimate this in decks with 0 or just a few walkers/creatures, it gives you turns on many opponents. Dreadhorde Invasion - 6/10 - Good in zombie tribal, otherwise on its own it seems... weak? It isn't bad, and as a value engine has potential in token and +1/+1 counter strategies, as well as just lists that want chump blockers each turn. Worse Bitterblossom for many decks. Where it shines in in combos with sacrifice outlets and Contamination ! Krenko, Tin Street Kingpin - 6/10 - New Krenko that isn't broken, but is less maan and is a great addition to any goblin deck, while making tokens? Sign me up! The flavor is dripping on this card, and it is a really good tribute to the Mob Boss himself. Solar Blaze - 5/10 - Not exactly much better than Day of Judgment , and even Deafenning Clarion may be better in some decks, but for decks, with specifically higher toughness than power it can be a one-sided sweeper! Massacre Girl - 5/10 - Black sweeper, good with big demons? I can't see this being insane, or even a big commander, but could make for a fun control commander, and I wouldn't be surprised to see this in flicker lists. Domri's Ambush - 4/10 - +1/+1 counter, one-sided fight, hits walkers, instant speed? 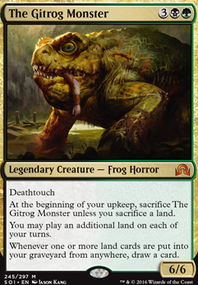 Seems strong as a budget removal spell in Gruul, but has capabilities in many other lists as a real piece. Kasmina's Transmutation - 4/10 - Anti-commander enchantment, but unlike Darksteel Mutation , which doesn't leave chump-blocking on the table to kill it off, or even most removal spells, this one doesn't have that bonus. Good in budget blue decks, and will probably see a lot of EDH play in casual circles. 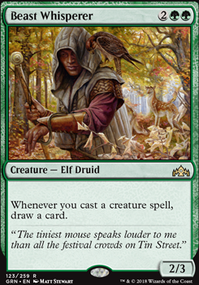 Arboreal Grazer - 4/10 - Strong in decks like Tatyova, Benthic Druid , big land-ramp decks or land-matters for it's 1 cmc effect. Chump duty after. Doesn't seem bad. Dreadhorde Arcanist - 3/10 - Requires pump effects, self-mill, or a spell-slinging deck, and a lot of setup, and can be blocked without too much difficulty, but does have some power. Not sure where it fits. This will be updated with ~30 more really cool cards from War of the Spark! Win-more?! The blowout potential with this card is insane! It's cheap, almost impossible to kill, doubles the power of your entire squad, and leaves them open to block! It's a great Green Sun's Zenith target, too. ZendikariWol, red green control could be pretty funny! You could play cards that grant the artifact type and then play a bunch of ways to destroy artifacts! That seems pretty sweet for a red green deck. However to make this work in the format you should consider way more ramp. Especially turn 1 ramp ( Wild Growth , Utopia Sprawl , Green Sun's Zenith + Dryad Arbor , all the elves and a Skullclamp to cycle them...). For the turn 2 ramp spells you missed the best one which is Sakura-Tribe Elder . Then put in some cheap wraths ( Anger of the Gods , Sweltering Suns ...). The format is pretty fast. 90% of aggro decks could kill turn 4 to 6. Don't get me wrong, your deck is sweet. Just sayin it isn't fast enough to do something in the format. In the end, I will remove 1 Veteran Explorer in exchange for 1 Vampire Hexmage . 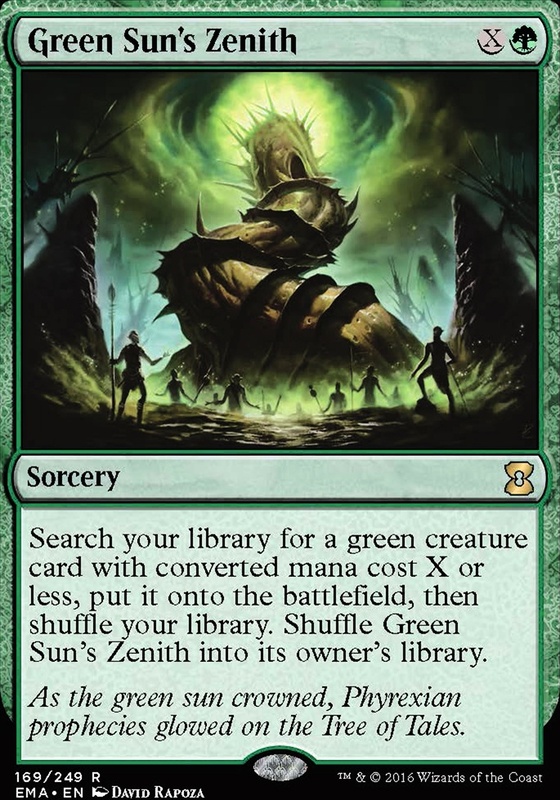 About Green Sun's Zenith , it's been a silly mistake to say that, but with the spoiler season and other decks and tests of other formats that I'm doing, I have many things on my mind. Also, you know Green Sun's Zenith only hits green creatures? No good for the hexmage. I like Chord of Calling for all color searching.